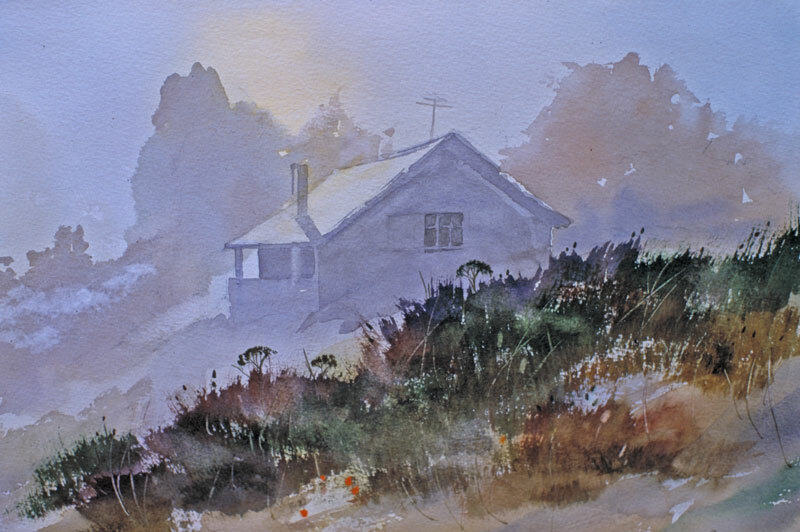 Thomas Freeman Original Watercolor Painting: "Coastal Fog"
We stayed for a week on the coast near Mendocino. Fog is your constant companion there, always slipping in even during the daytime. Here I'm showing that sunny/foggy effect. The contrast of the near weed forms with the fog gave a nice spatial effect. Cow parsnips stand out amidst the foreground plants. Won 1st prize in the SWA 2002 Small Picture Show.